Do you think there are plenty of little things that we can’t live without in our daily life? For instance, our mobile devices, watches, laptops and more. So mighty, yet so powerful to make a difference in our daily activities. A lot of times I have experienced this: My phone ran out of battery and I forgot to charge my powerbank. I thought, it’d be great if I can charge both of them at high speed simultaneously, especially when I am out for a long day. And now it can be done with this latest invention: LifeHub Plus, a 3-port Mobile Super-Speed Charging Hub. Yes, it helps to charge multiple mobile devices at once, in a smart way. Thanks to built-in smart chips, the LifeHub Plus can detect the type of devices attached and adjust power from its 3 USB ports accordingly. All 3 ports can deliver high 2.4A of output for super-speedy charging, and provide maximum compatibility with USB mobile devices. Different brands for different devices? Totally no issues at all! Whenever I go travelling, I am extra concerned about the number of electric sockets available in the hotel room especially during my overseas trips. Some rooms only have 1-2 plugs which are frustrating, because everyone wants to charge his own mobile at the end of the day! 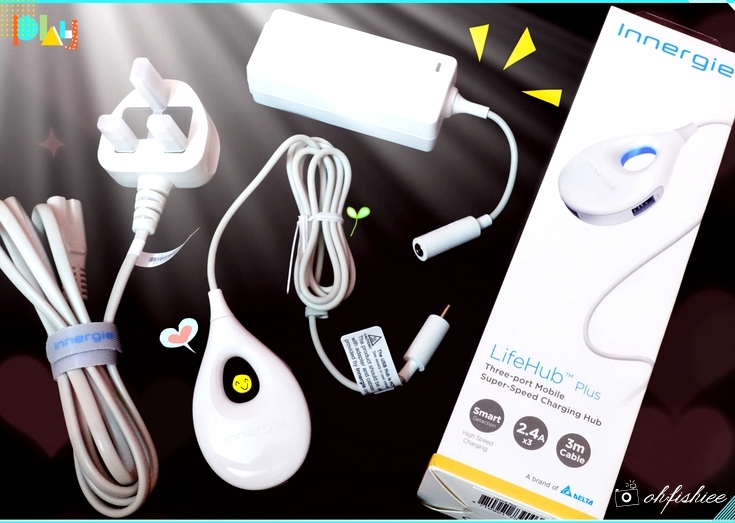 That’s when LifeHub Plus becomes a life saviour as it automatically detect the power requirements of an attached device so the optimal voltage/current output is provided. Good to give a power boost to your friends’ and family’s devices. To know it is charging your devices, just take a glance at the smart LED indicator light. Initially I am worried that the ports may damage my devices, since electronics are more sensitive. But no worries, as soon as I learn that it comes with Innergie’s InnerShield™ Protection Technology, I am glad that my devices are protected from over-current, over-voltage, over-temperature, and short-circuiting. Plus, it comes with 2-year limited warranty. For the environment-conscious, this is for you. 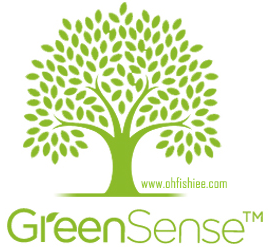 With the GreenSense™ Technology featuring an extremely high power efficiency, it’s time to reduce your energy costs and carbon footprint. Feel like getting one for yourself? Stay tuned for Innergie's arrival to Malaysia soon! For more information, visit Innergie at www.myinnergie.com/. I think this will be super handy to bring along for travels! Right? I like that it's so light and small. Plus it can charge three devices at a time. Saves so much time. I really love how cute this thing is. but the cable things is very long and bulky. looks so useful!! !I want it!!! This small things do wonders! I really want this one. I love it too. Super fast and the most important is, it is safe for my children to use it. wah, why your pictures so vibrant and bright one. i'm jelly. what a convenience gadget. really need it as i got many different device. This is incredible port. 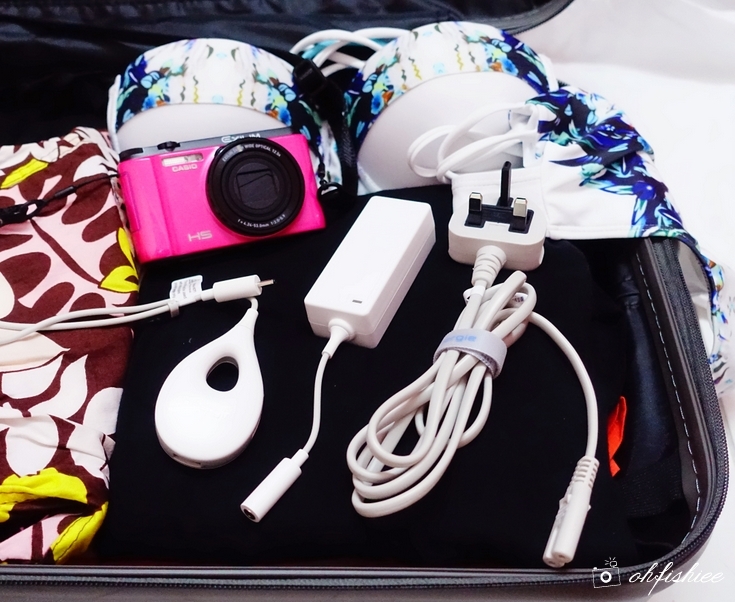 No worry my devices or even my camera will run out of battery as Power hub will be my savior.